The Saluki was a really interesting bicycle, coming as it did in the first wave of 650B resurgence. At the time, no one seemed to consider using large volume tires on 700C frames (well, aside from us crazy 'crossers, but even then a 35cm tire was pretty wickedly large.) In addition to one of the coolest bicycle names every, it had a lot of smart details. First and foremost, it paid attention to how well a bicycle can ride when you use a decent amount of air to cushion the ride and provide an ample footprint on the road and trails. Jack's bike is pretty much exactly the way I'd think about my own. 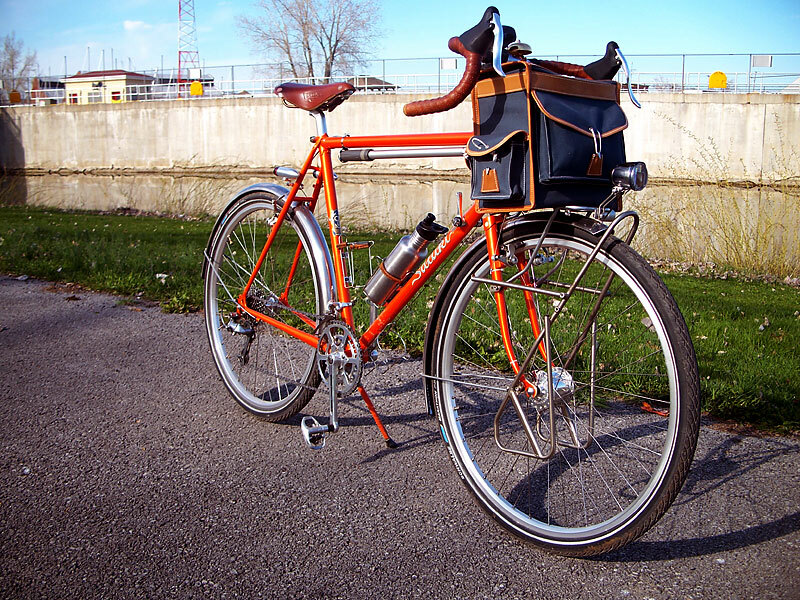 Fenders and racks so you can ramble long and not be phased by weather or distance. Smart gearing for a variety of terrain. And, it's orange.